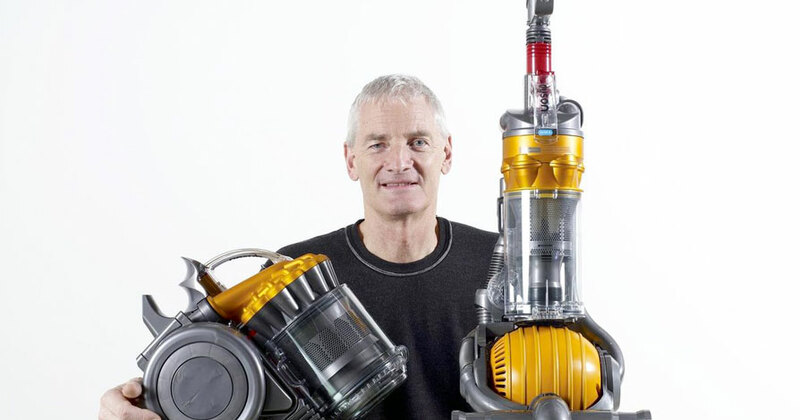 James Dyson, best known as the inventor of the Dual Cyclone bagless vacuum cleaner, is to home appliances what Steve Jobs was to computers – a master designer, with engineering prowess to boot. Dyson vacuums are the best-selling uprights in the U.S. Dyson founded his company in 1993 after years of solitary work, and he and his team continue to confound the market with breakthrough products 20 years later. What keeps a company like Dyson going strong? Obviously many factors influence whether and how a company becomes agile enough to survive intense competition, including its systems, culture, processes, and the existence of a robust, high-level innovation strategy. There’s no one recipe that will work for every company; even companies that are renowned for innovation question what exactly goes into their “magic formula” and how they can make it replicable. A key element runs through Dyson’s innovation process: Engineers play a hands-on role in product development. As Dyson puts it, “[W]e try to make the corporation like the garage. We don’t have technicians; our engineers and scientists actually go and build their own prototypes and test the rigs themselves…. If you merely hand a drawing to somebody … you’re not experiencing it. You’re not understanding it. You’re not feeling it.” Take a look at your own approach to developing new offerings and processes and see whether people that own the “creative” parts are also intimately involved with the ongoing development process. If they are not, and work is being done in silos, you may have a significant opportunity to experiment with new approaches and make unforeseen leaps. A key principle runs through Dyson’s product designs: “Less is more” – vacuum cleaners are designed without bags, fans and heaters without blades. New value is found in subtracting parts and eliminating the need for gadgets and supplies. We often think about adding to or improving existing features and components of the products and services we produce. What if you inverted that thinking and aimed to subtract and simplify instead? Get back to the job the customer wants done, and question the “required” elements of your products, services and business models that are taken for granted. That’s a useful and specific process in which many employees can participate. We’re not all cut out to be a James Dyson or a Steve Jobs. The fact is, though, almost all of us are born creative, and then raised in educational and work systems that cause us to become more analytical and warier of our creative impulses. Over time, those creative “muscles” can atrophy, or work in limited ways. These skills are essential for more than just employees with traditional “creative” job functions. So how can you develop and promote the kind of creativity you’d like to see across our companies? Exercise and practice do help, and that can occur through on-the-job action, not just canned creativity training. Tom and David Kelley, the forces behind the innovation firm IDEO, recently provided some pointers on actions you can take to ease into the messy unknown of creativity.² The essential thing for managers and leaders is to start with direct exposure to their customers’ experiences. That alone can spark breakthrough ideas. Basing decisions on aggregated information from marketing, sales, and product development people, is not enough. Hang around in online forums to listen in on customers and find clues about their wants, needs, and frustrations. Go visit customers on their home turf and simply observe unobtrusively, or do some informal interviewing using open-ended questions. Practice withholding judgment on your own ideas as they emerge. Shoot for 100 ideas instead of 10, and schedule ‘white space’ time in your calendar to get out of the daily operational fray. As we approach the end of 2012, it’s a good time to think about what you need to do to build or re-tool your corporate garage. Taking stock of your fundamental skills, processes, and behaviors for innovation is a great place to start. “How James Dyson Makes the Ordinary Extraordinary,” by Shoshana Berger, Wired, November 2012. “Reclaim Your Creative Confidence,” by Tom and David Kelley, Harvard Business Review, December 2012.